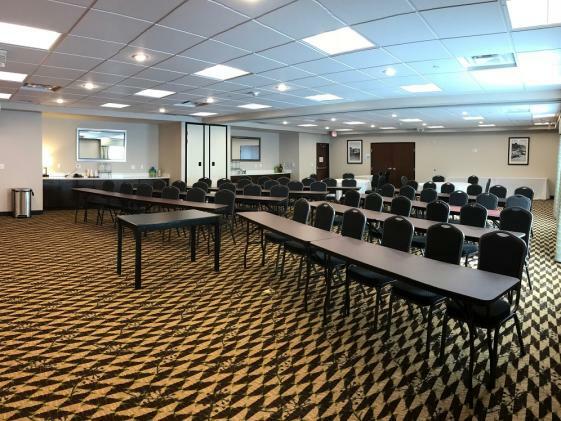 The hotel offers 1,500 square feet of meeting space or the space may be divided into two separate 750 square feet meeting rooms. With the ability of accommodating up to 200 guests all with flexible set up options to choose from. 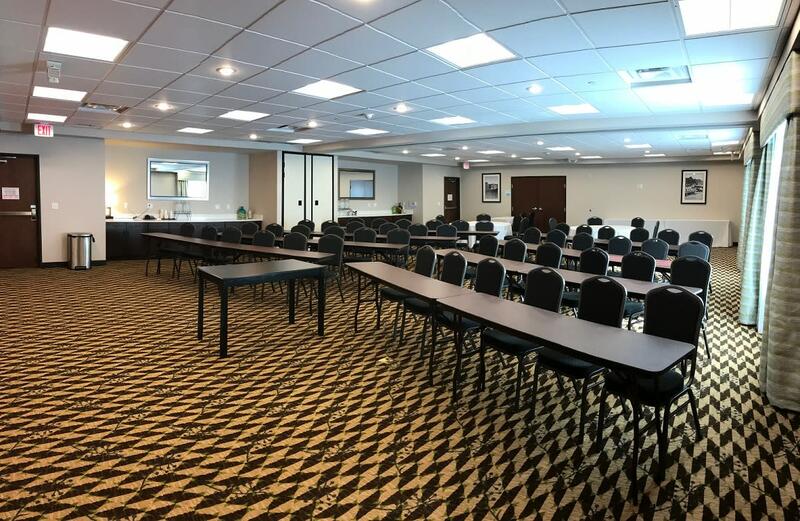 Description 1,500 Square Foot Meeting Space that can be broken into Two (2) 750 Square Foot Rooms. Space Notes Open Space with no obstructions; Two Windows facing East. Ample Counter Space in Each Room.